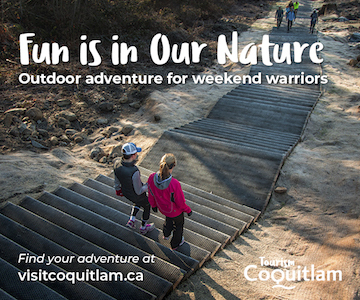 Interested in pristine hiking trails, world-class running trails and free outdoor festivals – all within easy access in Coquitlam? The city is gaining a reputation as a mighty fun place to visit, and anyone who rocked out to Bif Naked as the sun went down at Kaleidoscope Arts Festival last August can attest the community’s electric energy. From free concerts at the amphitheatre stage to the annual lights display at Lafarge Lake, if you haven’t already jumped on the SkyTrain to Coquitlam, you can bet you’ll be doing it this year. Ask Olympian Leah Pells, considered one of the best female distance runners in Canadian history, for run route suggestions, and you might be surprised by her response. 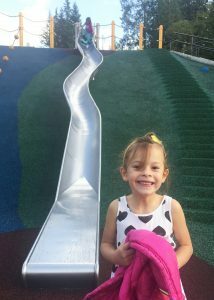 “Mundy Park is not only my favourite running spot in Coquitlam, but in the world. I love the trails. It is my healing place,” she raves. In fact, Mundy Park is rated by TripAdvisor.ca reviewers as one of the top things to do in the city, second only to Town Centre Park, which in 2017 was named the greatest public space in Canada by the Canadian Institute of Planners. 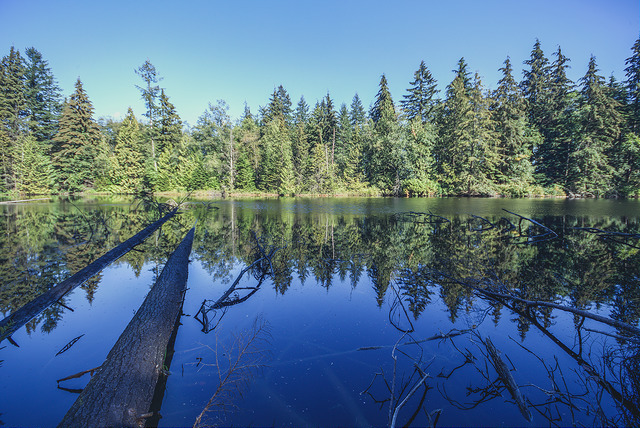 Mundy’s 400-acre coastal rainforest features two lakes and a forested trail system totalling 16 km. 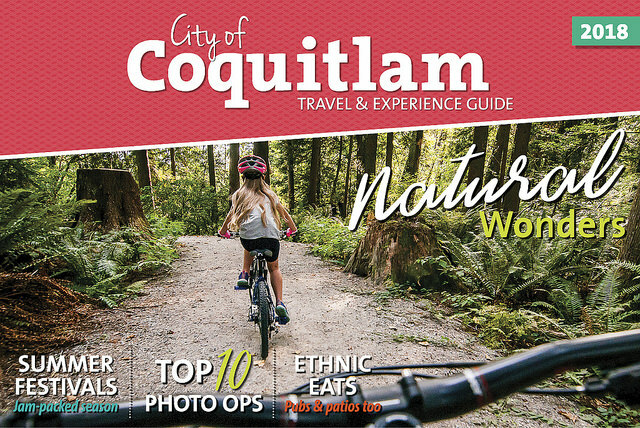 Whether you’re interested in exploring new trails, hiking to new peaks, or mountain biking the trails less travelled, Coquitlam’s 2018 Travel and Experience Guide has all the information you need on how to get started. 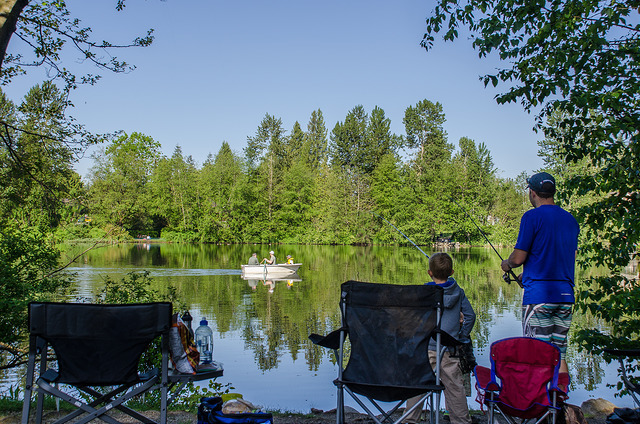 Coquitlam’s travel guide also includes tips from locals spilling the beans on the best things to see and do – from hiking, biking, shopping and even craft beer. Picture the outdoor festival experience in a park setting: live music on stage, kids dancing on the grass, people sipping craft beer and purchasing treats from food trucks. 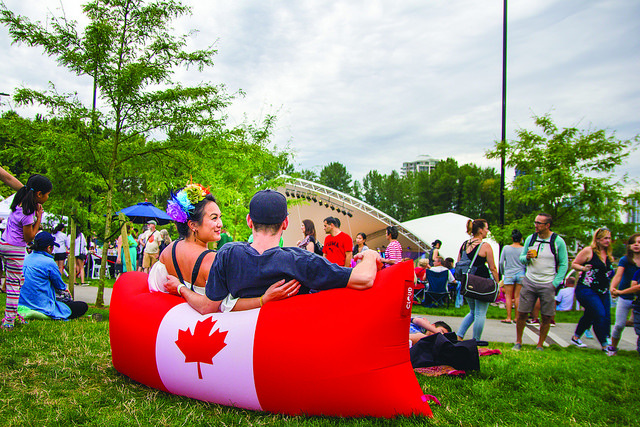 Mark your calendars for upcoming highlights including Coquitlam Celebrates Canada Day (which attracts 80,000 people), Kaleidoscope Arts Festival and the Summer Concert Series. Other signature events include Festival du Bois, the Teddy Bear Picnic and Grand Parade, BC Highland Games and Scottish Festival. 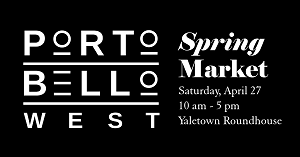 Stay tuned to visitcoquitlam.ca for festival updates. Check out the guide’s list of patios and places to sample craft beer. You’ll also glean insider recommendations on ethnic restaurants to try, plus shopping destinations where you can hunt for your next treasure. From parks, outdoor pools and spray parks to fun indoor activities and outdoor adventures that won’t cost a cent, get the scoop on a variety of ways to wear out the kids – no matter the weather. Dig out your hiking boots, walking shoes, mountain bikes or fishing gear and get ready to explore. Read Coquitlam’s 2018 Travel and Experience Guide online. Printed versions are also available to pick up free at Coquitlam City Hall, recreation centres and city libraries. I have loved partnering with the City of Coquitlam for the past year because there are so many community events and activities, including the festivals mentioned here (and in the Travel Guide) including the Coquitlam Craft Beer Festival, which is offering up 4 tickets to a lucky Miss604 reader! This festival takes place March 9-10, 2018 at the stunning Westwood Plateau Golf Club in Coquitlam. Sample beer from more than 40 craft breweries plus food from eight restaurants and caterers. New this year, check out Cask Corner, featuring 6-8 unique cask brews. The winner will receive 4 tickets to the Saturday, March 10, 2018 matinee (from 12:00pm to 2:30pm). Must be age 19 or over to win. Please enjoy responsibly. I will draw one winner at random from all entries at 12:00pm on Monday, February 26, 2018. Update The winner is Kara! Fun event! Would love to go. I am German. I love all the wonderful Craft beers. I also love all the beautiful nature and trails of Coquitlam. I would love to win this for a date night with my hubby. We went to the Coquitlam beer festival last year and had so much fun. We love trying different beers and we always enjoy the silent auctions!! Fun event to enjoy win friends! Fingers crossed. I had never heard of Coquitlam before, but it sounds like an amazing place to visit! Scenic hiking trails, wildlife viewing and craft beer festivals make it sound like the perfect location! 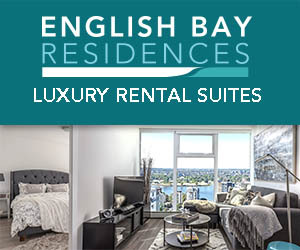 I’d love to take our friends who live in Coquitlam for a fun night out! Love craft beer. Thanks for the chance. YUM! I love beer festivals! What a great way for me to get exercising on my St Patty’s Day liver! Beerfest in Coquitlam…sign me up! Coquitlam Beer Fest. Yes please! 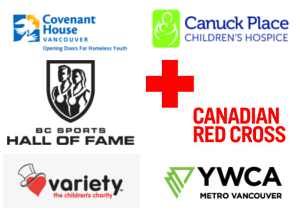 What a great event to bring to Coquitlam! Hoping to win those tickets! Love Mundy Park. Don’t forget to get a good round of disc golf in! Great Event. Hope I can make it! A nice way to celebrate spring time. Thank you. I’d love to attend this! 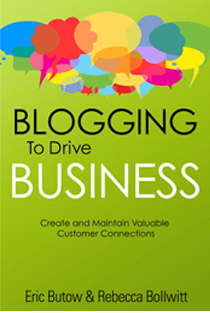 Thank you for such amazing article!